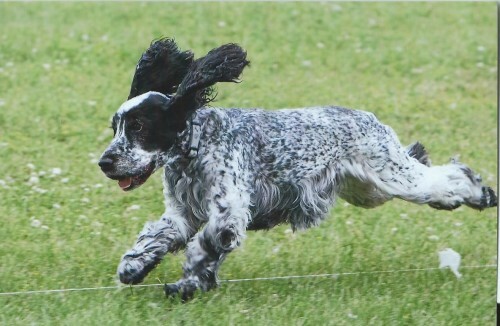 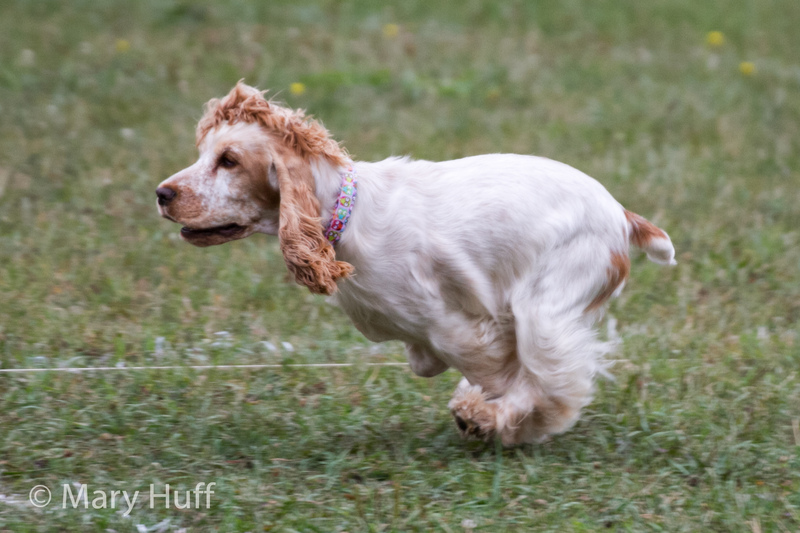 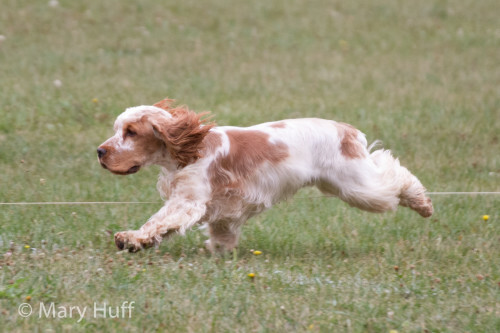 This is a sport where the dogs have to chase a lure around a course. 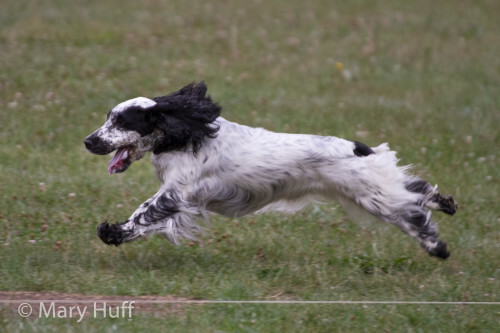 They have to stay focused and on track for the course and complete in 2 minutes or less. 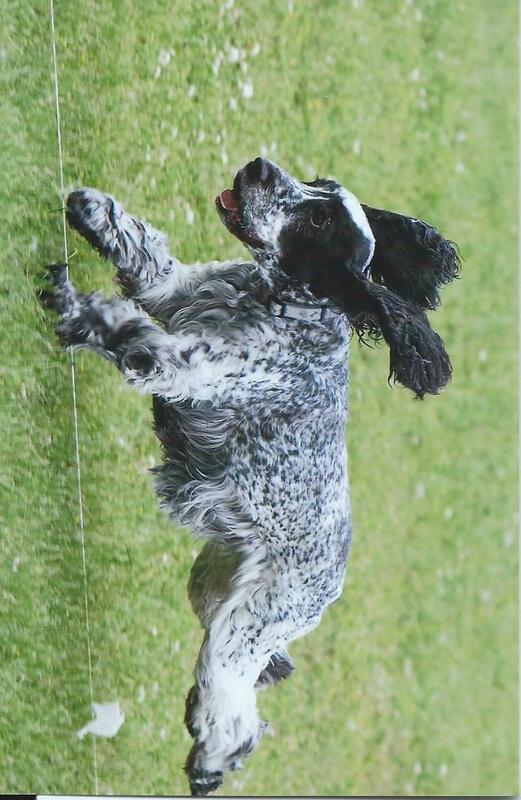 The English Cockers usually just LOVE this sport! 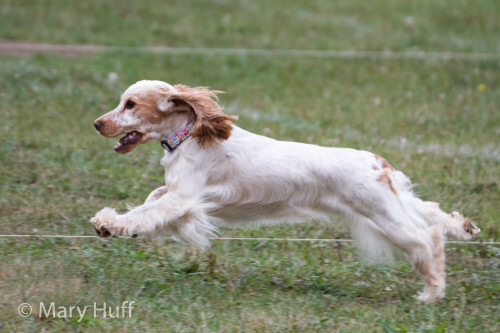 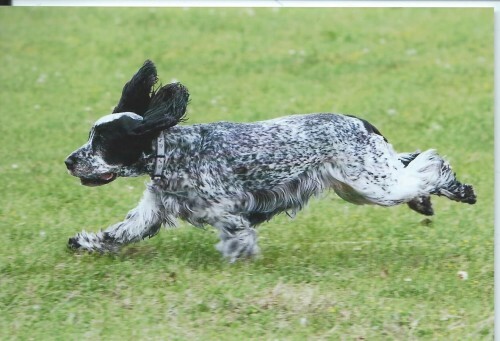 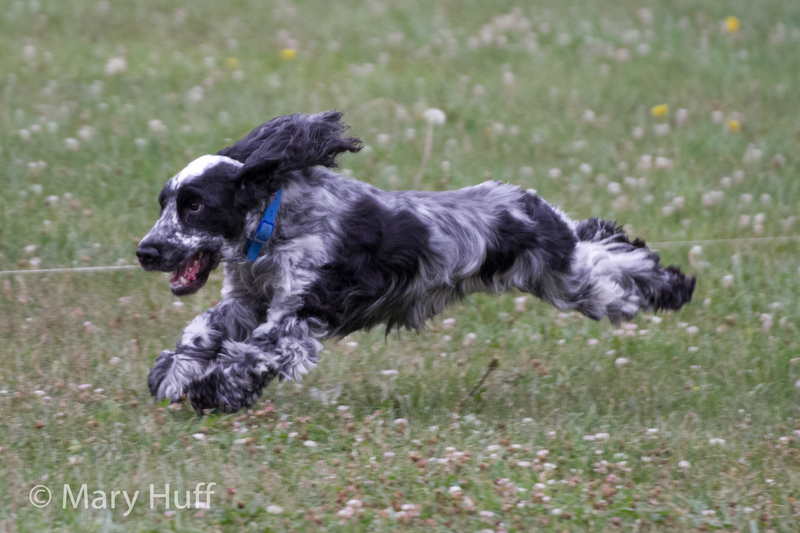 Emmy, AKA Am/Can CH Carefree Itoba Singin In The Rain RN CGC CA TT just loves to lure course! Sara (Ch Carefree’s Que Sera Sera) thinks lure coursing is so much fun! 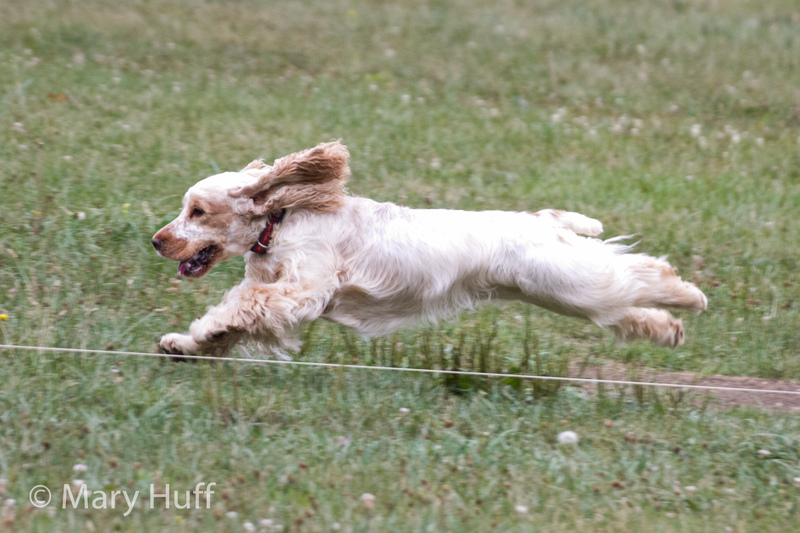 Easton (Carefree’s All In The Family) on the homestretch!